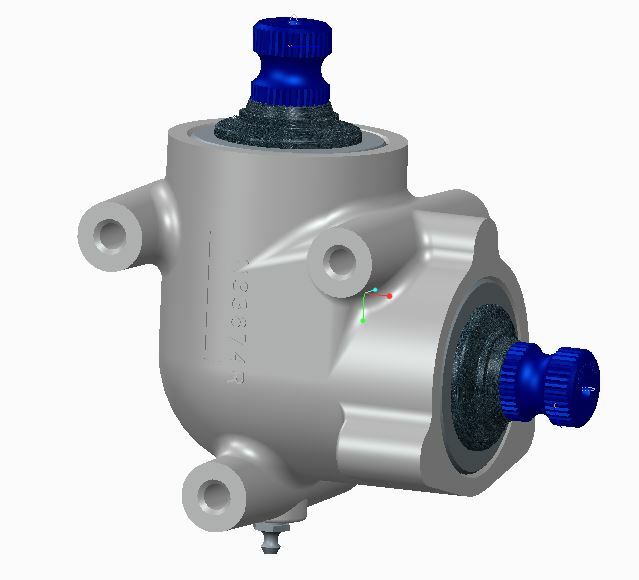 Sheppard Miter Box Assemblies are designed specifically for steering system application within the commercial vehicle industry and allow additional flexibility when mounting steering components. 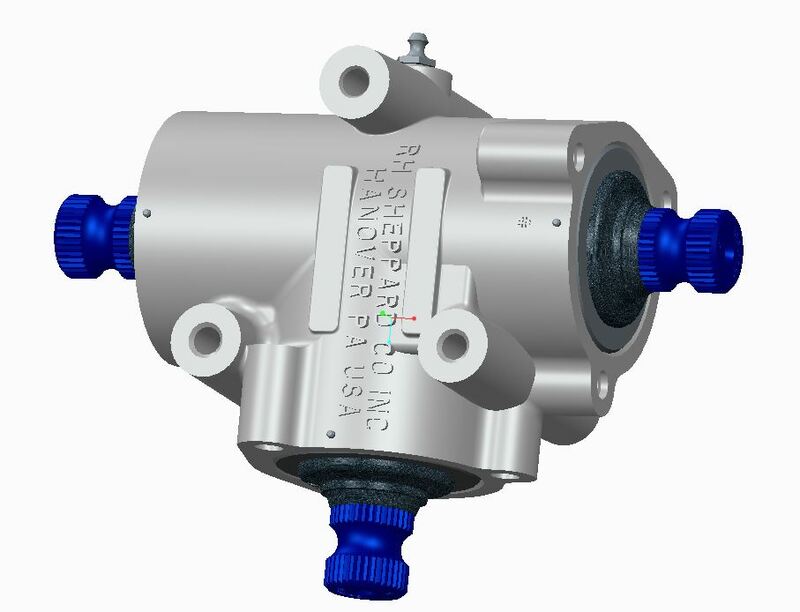 All internal components are contained in a continuous one-piece aluminum cast housing. 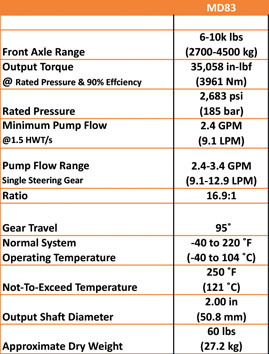 Steel shafts have a standard 1” x 36 serrations configuration with other serration options available. All gears are precision straight bevel with a 1:1 ratio and assembled with a maximum .100” backlash on a 20” steering wheel. 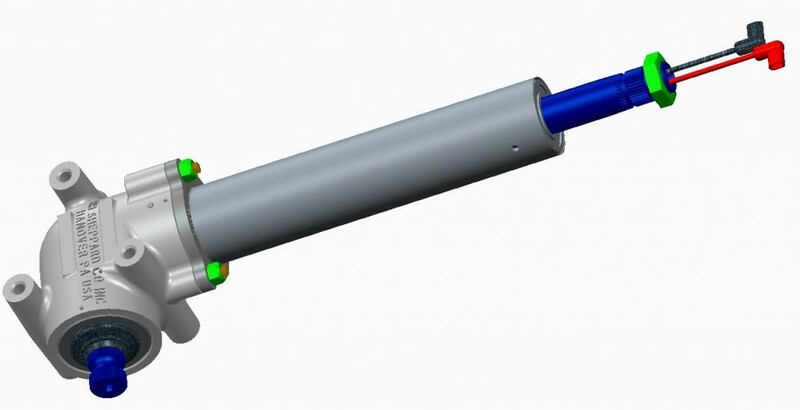 Shafts are supported by double row radial ball bearings which minimize drag and optimize performance. 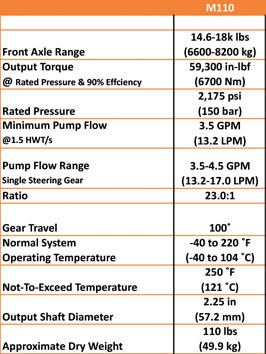 The shaft seals are designed to maintain internal grease volume and resist penetration of foreign materials. A “greased for life” option is available for use inside the cab. The compact design yields an approximate weight of 6.5 lbs. for 90° miters and 9 lbs. for a T-box miter. Integral – Can be mounted on Sheppard M & D series steering assemblies and radially oriented to suit most applications. 90° Miter – Integral with steering gear, mounting bracket attached. 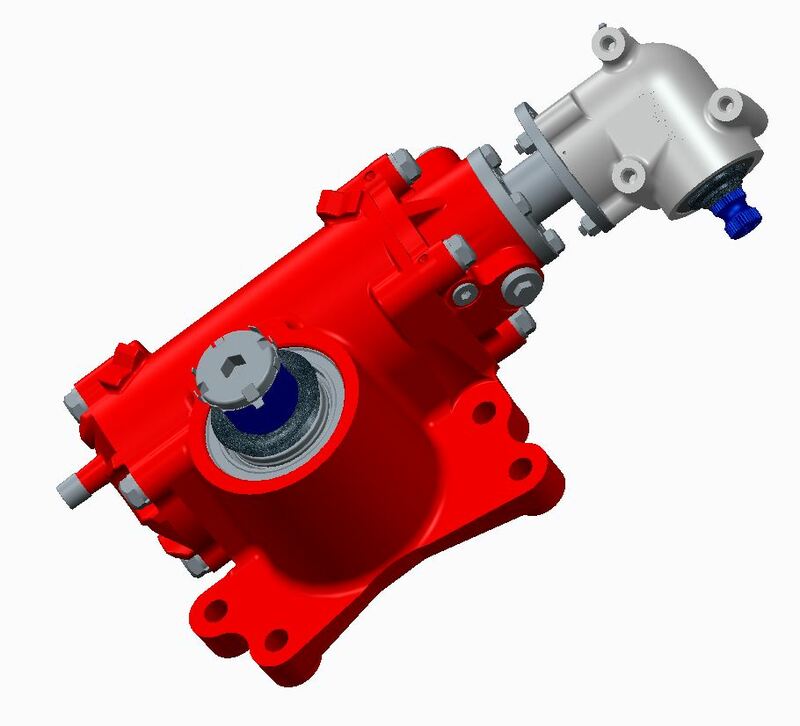 T-Box Design – Can be used on multiple steering wheel applications, and integral to Sheppard steering assemblies with different rotations available. Extended Shaft Miter Box – Shown here with steering wheel mounting nut and horn button wiring. Various lengths are available and priced on request.